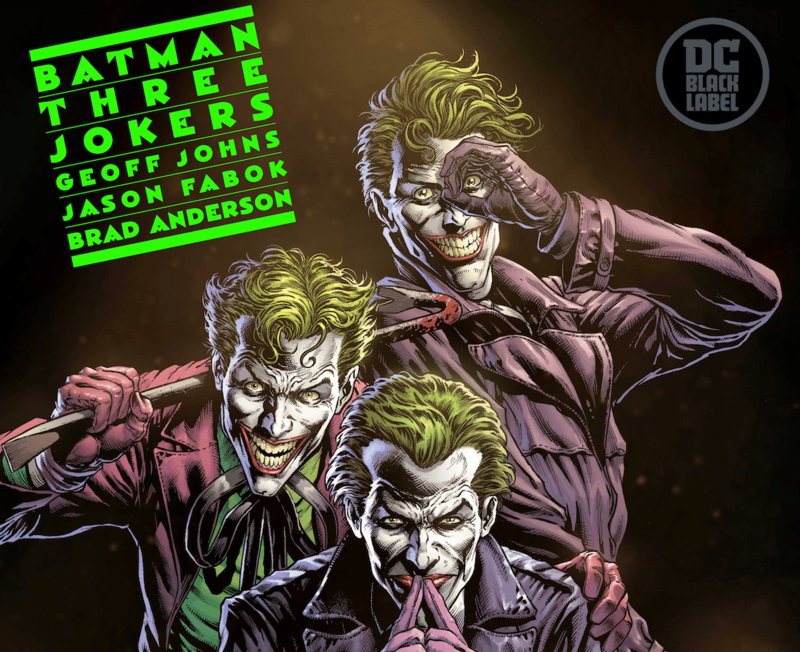 NYCC 2018: Geoff Johns and Jason Fabok discuss their upcoming project 'Batman: Three Jokers' – AiPT! A closer look at the concept art and secrets from one of the most anticipated Batman stories ever. Johns first approached Fabok about the project two years ago and after agreeing to the project, Fabok flew out to LA to work on the story together in person. A giant whiteboard covers one of the walls in Johns’ office and the pair plotted out the entire story together, page by page. This isn’t the first time the pair has worked closely together. A few years ago after looking through Fabok’s work, Johns decided he had to work with him and proceeded to find Fabok’s number from Twitter and DM’d him at midnight, asking “are you awake?” to which Fabok replied “Yes, but it’s midnight.” Johns called him of course and the following conversation resulted in the two working on Justice League together. Batman: Three Jokers will be released in three giant sized issues, with 46 pages to an issue on DC’s new Black Label imprint, intended for mature readers. Johns shared that Barbara Gordon, Batman and Jason Todd are the main characters because they’re the characters that the Joker has hurt the most. While the story will be in continuity, the intention from the pair is to create a timeless story like The Killing Joke before it. Brian Bolland, the original appearance of the Joker and the Joker of the ’60s heavily influenced the project. Fabok told fans at the panel that they should expect a lot of Easter eggs to be found on every page that readers from of all eras of Batman’s history will recognize. You could tell how much passion Fabok has for the project as he walked fans through the different pieces of concept art and a few finished panels DC was kind enough to share (which you can see below).